If 2015 is the year you finally tackle that kitchen remodeling project then knowing the latest kitchen design trends is an absolute must to make sure that you end up with a stunning, high value gathering place for your family to call their own. With that in mind, now is the perfect time to start planning your kitchen design plan since these new styles have yet to take off in terms of popularity or price. Start your year out with the gorgeous interior designs of 2015 and be ahead of the curve all year long. 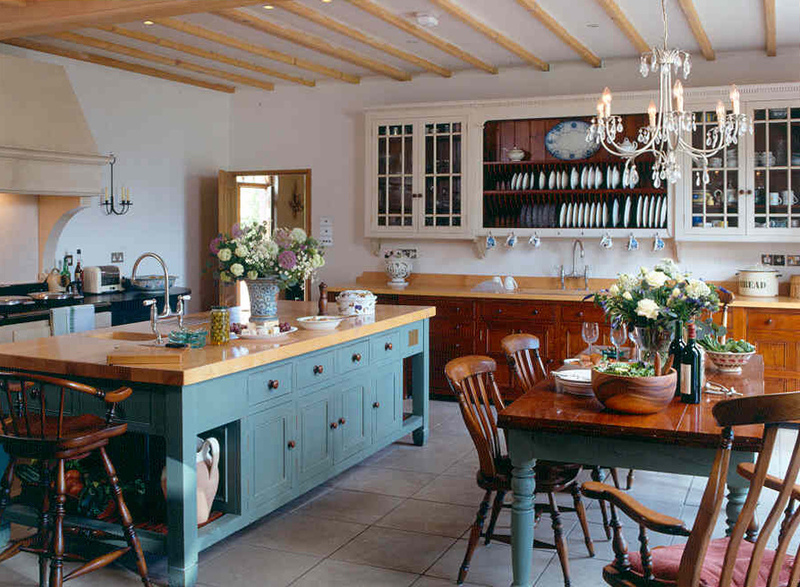 The kitchen has changed quite a bit through the years from a place solely dedicated to cooking to the gathering, dining, cooking, and even entertaining space it often represents today. This shift in purpose continues in 2015 with style and accessorizing from all over your home flowing into the design of kitchens. Expect to see trendsetters incorporating more living room style furniture, and even softer textures and colors into their newly remodeled kitchens. In general this year a shift toward natural materials, looks, and textures will be very popular and so featuring comfortable, nature-inspired components throughout your new space is a great way to keep your kitchen looking gorgeous. 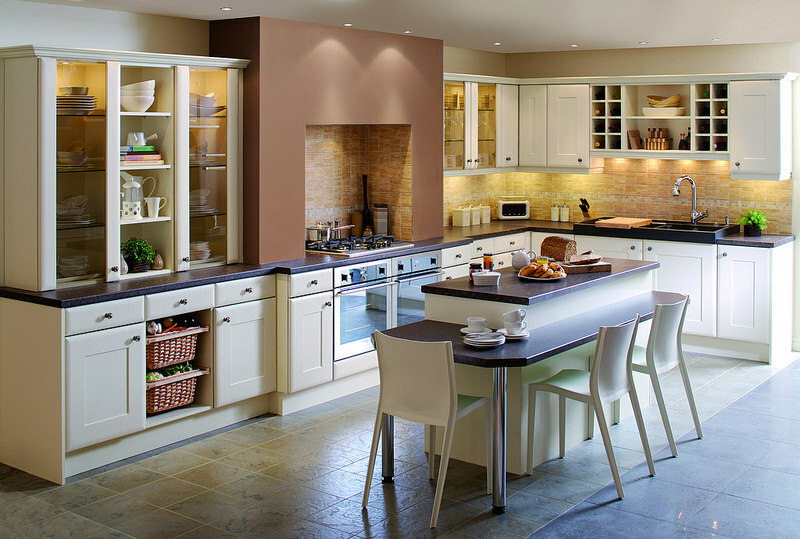 The major design schemes from kitchens in recent years have been split (fairly evenly) between traditional style kitchens and modern style kitchens. However, interior design experts are predicting that in 2015 a fresh, new fusion of these two themes will sweep across the country. They explain that with a careful hand the mixture of classic kitchen tones of warm, comfort, and reliability and the modern kitchen focus on innovation, sleekness, and openness can provide an elegant and highly functional and convenient space. This means that a wide variety of different customizations and alterations are available to you, all of which offer improved usability and property value through the year ahead. Keeping with the theme of connecting your kitchen to the rest of your home, many kitchen remodeling contractors are advising their clients to explore the least obtrusive cabinet options available. That said, the most popular cabinet colors for 2015 are expected to be within the clean and heightening shades of white, gray, and black. Some homeowners are going even farther than that and having cabinet installations that are entirely open and accessible completed. With these options you can also expect for your kitchen to more fully highlight the focal points you have intended rather than distracting visitors with too traditional style kitchen elements.